In the predominantly black city of Flint, Michigan, 12 people died and at least 87 people got sick between 2014 and 2015—the result of a deadly bacterial outbreak that was suspected to have been triggered by the same water crisis that saw lead leach into the water supply. A pair of studies out this week confirm this is true. Legionnaires disease is, essentially, an extreme form of pneumonia, but it can’t be transmitted through hosts. Instead, people contract the disease when they inhale particles of Legionella bacteria, which grows in water and can enter the body if someone, say, chokes while drinking water. This is the leading cause of disease due to drinking water across the United States. In Flint’s case, experts expected the water was to blame for the 2014 outbreak of Legionnaires. Everyone did. After all, any health issue in the city became synonymous with the water during the crisis. A study published in the Proceedings of the National Academy of Sciences Monday attributed the majority of these Legionnaires disease cases to a lack of chlorine in the city’s water supply after switching to the Flint River in 2014. 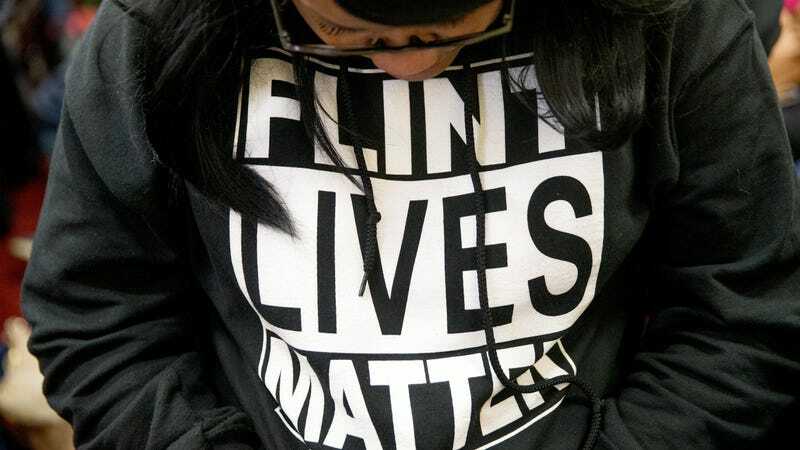 During this switch, Flint neighborhoods saw their risk of seeing cases of Legionnaires increase by 80 percent for every milligram per liter of chlorine gone in the water supply, according to the study by Wayne University and University of Michigan researchers. In other words, the water switch not only caused lead levels to spike but also created an explosion of Legionella bacteria. The team looked at Legionnaires cases from 2010 to 2016 in Genesee, Oakland, and Wayne Counties to have a more complete data set. This study is one of two published this week by the Flint Area Community Health and Environment Partnership, a consortium that includes both universities in the previous study, as well as Michigan State University, Kettering University, Colorado State University, and the Henry Ford Health System. The other study came out in the American Society for Microbiology’s mBio Tuesday, and it found that the majority of urinary tests used throughout the U.S. and Europe don’t usually detect the particular strain of the bacteria that existed in Flint and Detroit water supplies (the serogroup 6 strain, for my fellow nerds). This new information may prove helpful in the state attorney general’s attempt to hold public officials accountable in the criminal investigation launched in 2016. The Legionnaires outbreak is playing a big role in the case, and the state is charging six officials for manslaughter related to their knowledge of the outbreak. What’s worse is that the deadly bacteria isn’t entirely gone from the city’s water supply. In 2016, after the city switched back to Lake Huron as a water source, one of the studies found 12 percent of Flint homes tested still harbored the bacteria. Most residents continue to avoid drinking their water and rely on bottled or filtered water, and these studies serve only as a reminder of what can be the worst possible outcome when public officials—quite literally—poison their residents.